Brendan Hall led the Spirit of Australia crew to overall victory in the Clipper 2009-10 Race, when aged 28. It was the second of three times the trophy has gone to an Australian team. Following the win, Brendan wrote the book Team Spirit, based on his race insights into the teamwork, leadership, skill, courage and focus required for performance. Here, after joining us to celebrate twenty years of the Clipper Race last weekend, he talks us through his race memories. Looking back at your experience, what remains your race highlight? 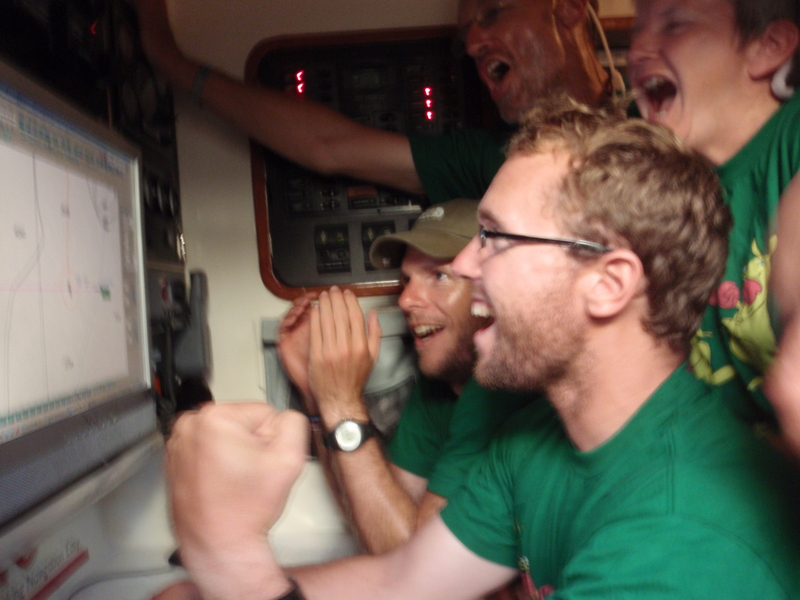 Being reunited with my crew after crossing the North Pacific. Not many days go by when I don’t think about this actually. I’d had to take over Hull and Humber on Day 10 of the race when their Skipper Piers Dudin suffered a bad leg break and was medevaced from the yacht. Approaching my crew in port, they were all stood there on deck with the city lights behind them meaning I could only see their shadowy outlines. Their relief and pride was clear in their body language. As I got back on board the boat I gave every one of them a big hug and told them how proud I was of them. They had just faced the ultimate challenge and one that they could never have been prepared for but circumstances dictated that they sail across the world’s largest ocean at a particularly fearsome time of year, on their own. They had pulled together in the true sense of teamwork, and kept each other safe. I feel it was their greatest achievement, and it was mine by association as I had got them to the point where they could take on that challenge. Ultimately that experience and those qualities led to our overall result. What winning qualities did your team possess? My crew were the same raw materials that every other boat had. We had our characters and we had our influential people and our leaders, together we made a great leadership team. The approach we always took was to empower everybody throughout the race and my goal was to get to a point where I myself was redundant on deck and I could concentrate on everything else, the weather routing and the navigation etc. What were your goals as a team? After Crew Allocation I asked people to really think about what they wanted and what their motivations were. I got the full spectrum back, from those ultra-competitive types to one lady who confessed quite freely that she was here to meet a husband. My work was cut out to create a team ethos which would meet all ends of that spectrum! We had some very good early results so the people who at first perhaps thought we were pushing too hard, saw the results of the efforts. We built a momentum and by the end, some of those who appeared least competitive at the start, were the ones who were most obsessed with checking the scheds and positions. What have you been up to since the race finished? I met my wife on the Clipper Race, during the first level of training actually, and we’ve just had a baby girl. After the race ended we worked on super yachts and I wrote the book ‘Team Spirit’. 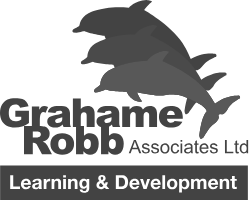 Now we’re back in the UK and I’ve started up my consultancy, taking the lessons from the race into the world of business. There is so much crossover between the Clipper Race and the business environment and it is such a great place to study how teams work. Why does one team flourish and another gets off the dock at the end disappointed? I wanted to study all the factors involved in a compelling, effective way by sharing my story and in the hope of replicating that success in different formats. I’m also loving sailing the 70s now with the Clipper Events team. They are great boats and I’m enjoying some of the shorter inshore racing which fits in best with my family life. Why do you think the race has grown from strength to strength over the decades? 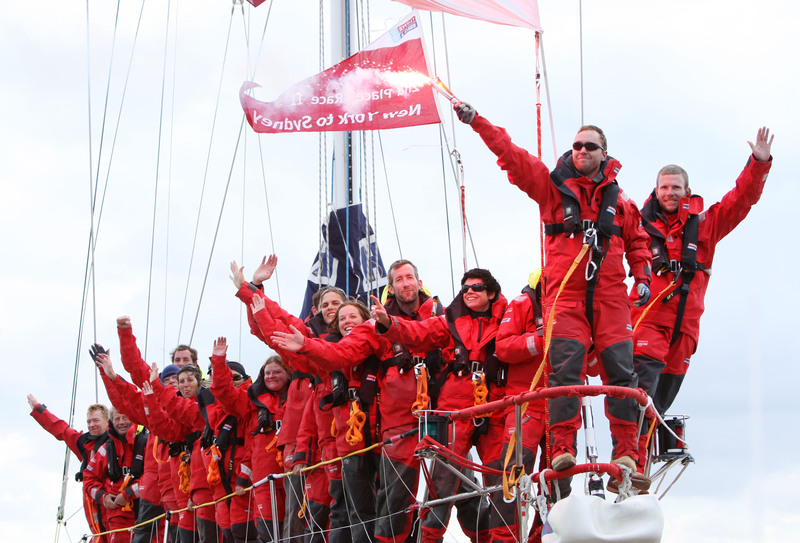 The Clipper Race is a way for ordinary people to realise one of the most extreme challenges that exists in life. Quite rightly it is compared to an Everest ascent. People will always be drawn to that extreme lifestyle, that ultimate life changing challenge, and the way Clipper Race organises it and trains the crew to such a high standard is very, very good. It gives people the opportunity to do something extraordinary, which is what Sir Robin, and William, really set out to do all those years ago. That DNA of the race has stayed the same and it is a great formula which really works. Brendan's interview is one of many features included in the celebratory programme produced for the Clipper Race 20th anniversary ball. For an online version of the entire programme, click here. We are very proud to have made the final shortlist for MetrixLab Website of the Year Awards in the sport category, alongside sporting giants like Manchester United and Formula 1. The award includes a public voting element, which will be open until 11 November. Click here for further information and to find out how you can vote for the Clipper Race website.